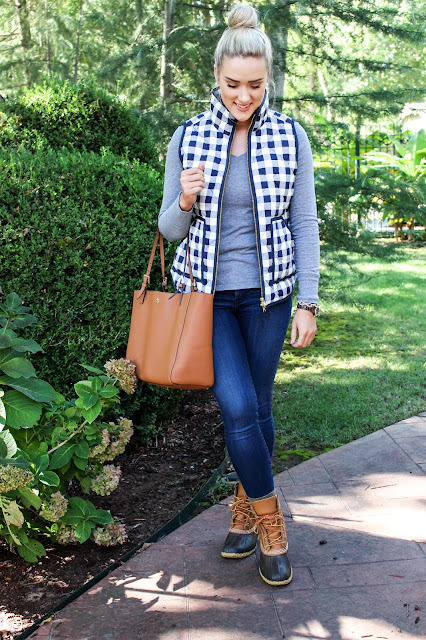 Hope you had fabulous weekend!! 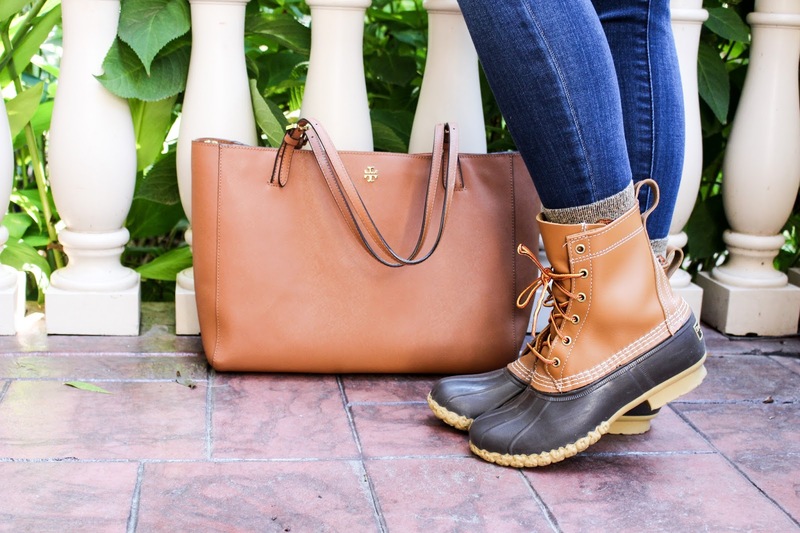 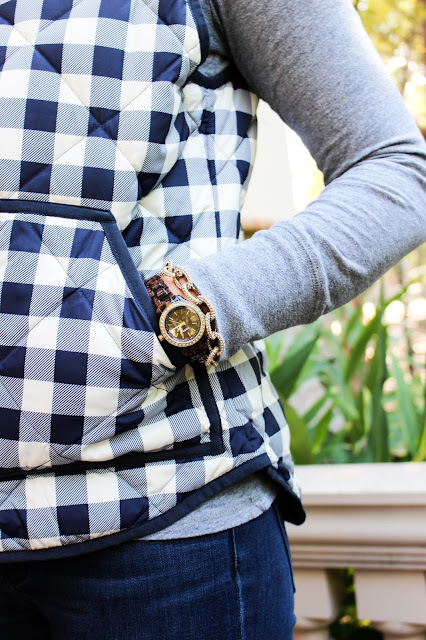 Today I wanted to share one of my all time favorite puffer vests! 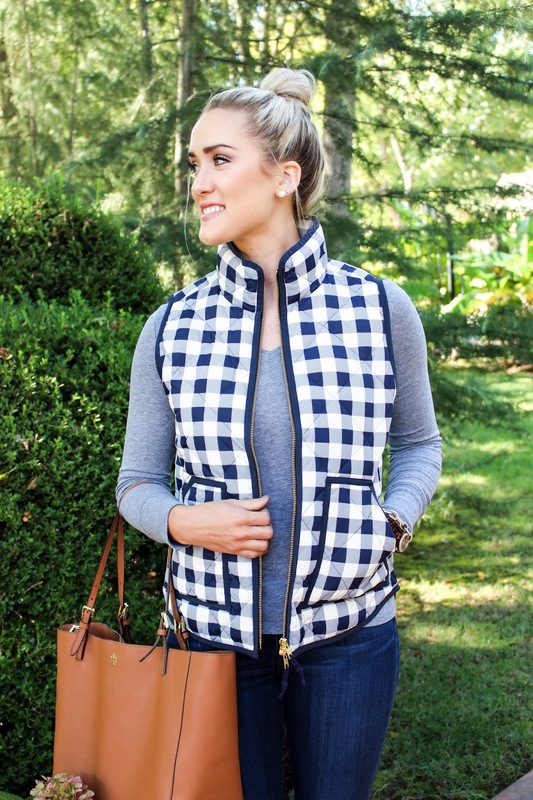 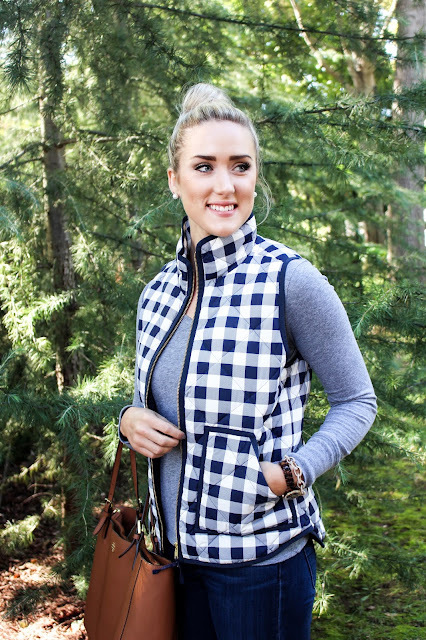 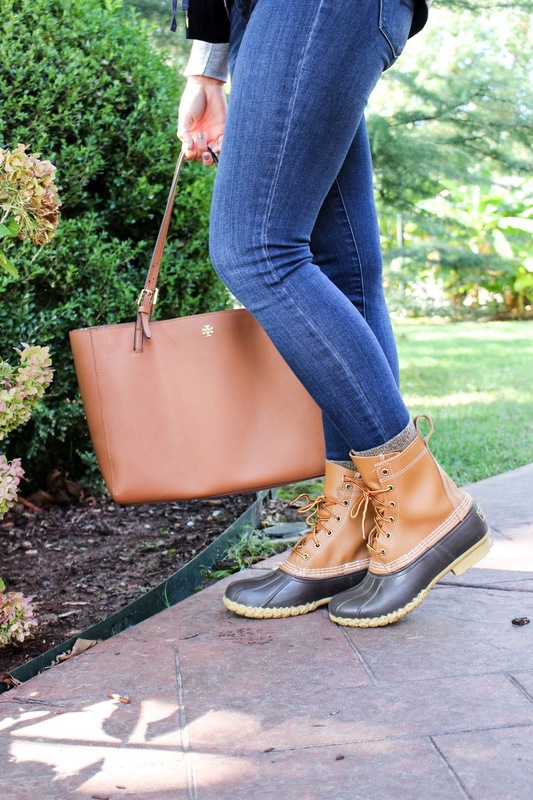 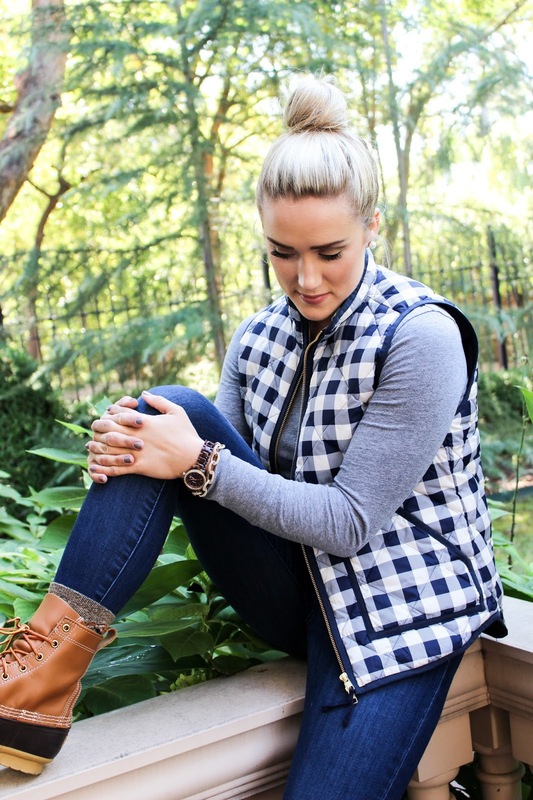 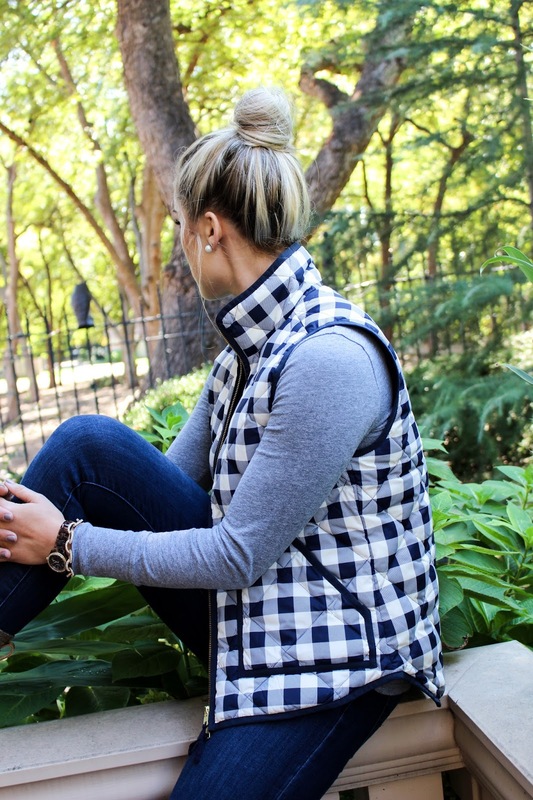 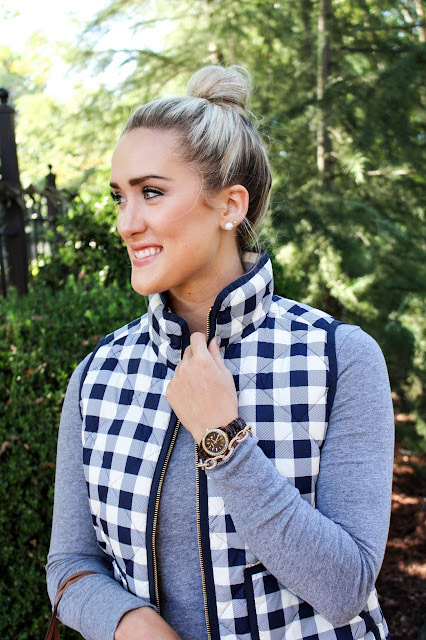 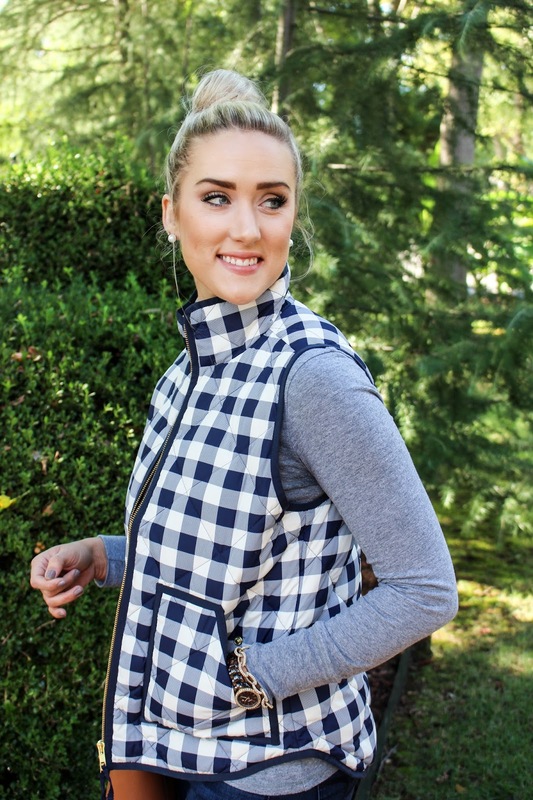 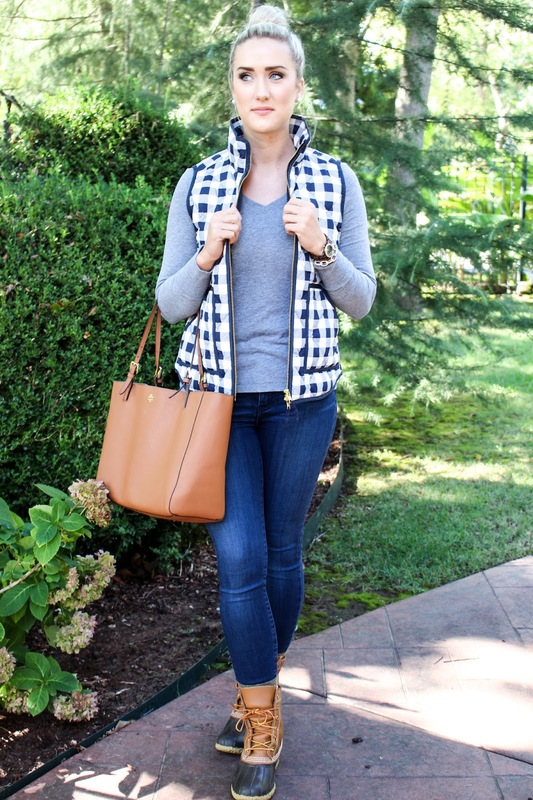 J Crew Factory is always my go-to when I am looking for a new vest, and I LOVED this gingham one! 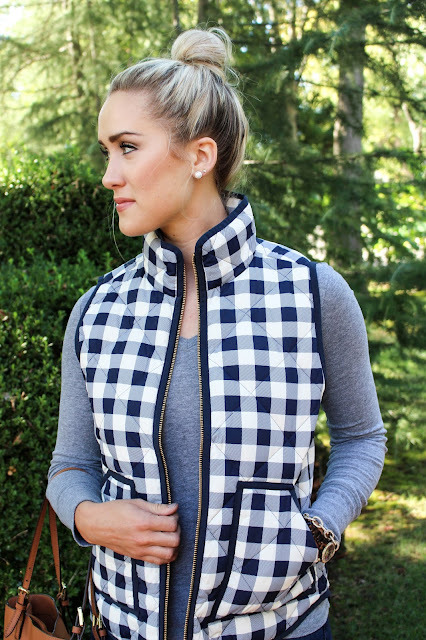 I have the herringbone one as well & the solid white one. These vests are such great quality and the price isn't that bad since the quality is top notch! 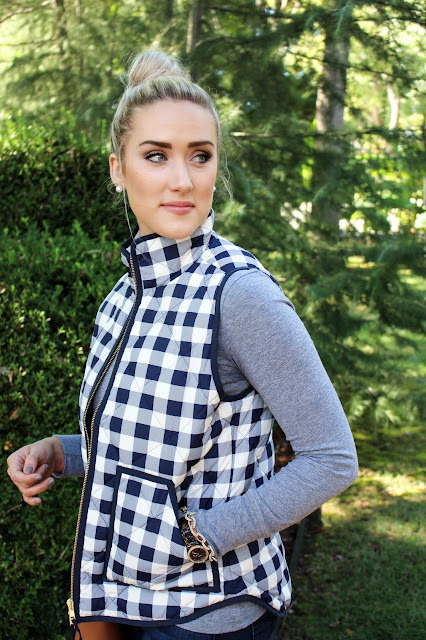 If you are looking for a staple puffer vest that you plan on having for years to come, I definitely recommend getting one of these! 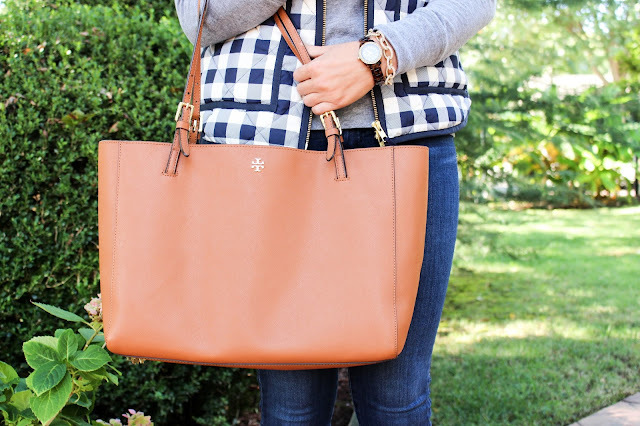 Thanks for reading, and I hope you guys have a great week!